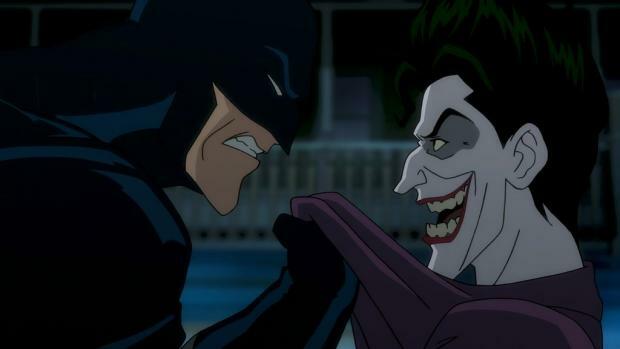 The seminal and controversial Batman story from Alan Moore and Brian Bolland, The Killing Joke, is coming to DC's animated film line and here's the first official trailer. It looks to be a faithful adaptation even with the controversial scenes of Barbara Gordon's abduction and shooting at the hands of the Joker. Mark Hamil, who'll be reprising his voice work as the Joker, posted a featurette on his Facebook page that has since been removed but it provided extended footage, interviews, and additional details. In order to fill out the film Bruce Timm and the creators included a prologue detailing Barbara Gordon's backstory. It'll add more depth to her character and give her more substantial development before the dubious events occur later on. And because of the adult aspects of the story it's not clear yet if the animated film will get an R-rating or PG-13. Batman: The Killing Joke is expected to premiere at San Diego Comic-Con in July. No official release date has been announced but should arrive late this summer. Kevin Conroy reprises his role as Batman and Tara Strong will voice Barbara Gordon/Batgirl.